Congress reminds me a lot of the Wizard of Oz these days. They keep telling us to ignore the man behind the curtain, but they are the man behind the curtain. We have now reached the point where we can hope that the children we elected to Congress will get passed finger-pointing and blaming each other for the mess we are in. For whatever reasons they individually had, the decision to defeat the “bailout” or “rescue” plan signaled that the gravity of the problem had finally begun to penetrate the minds of our nation’s legislators. Wall Street predictably took a nosedive. A lot of what constitutes the buying and selling of stocks is purely emotional. In good times everyone wants to get into the market and at the first hint of trouble, everyone wants to get out. There are signs, though, that even Wall Street thinks Congress will step in soon and assume a big chunk of the bad debt. Politics is fluid, but there are real laws of economics that are well known, if often ignored. Money has to flow. There has to be “liquidity” and a consumer society requires a measure of constant, prudent lending to grease the wheels. Grownups get nervous when there is too much debt on the books. Children think that debt is an illusion. Whoever tells you that having a huge national debt and bad balance of payments is not a problem is blowing smoke up your skirt. Whoever tells you that it's a good idea to lend money to people whose chances of paying it back are slim to none is lying. That is the cause of the current problem; a lot of bad debt and it can all be traced back to Democrat-inspired programs, loosely labeled “social justice”, to justify the odd notion that poor people should live like the Middle Class. If they weren’t poor, they would be Middle Class. They’re not. Moreover, a lot of the Middle Class assumed too much personal debt. Too many offers in the mail for credit cards. Too many inducements to purchase homes at inflated prices. Too many advertisements for vacations that probably should be spent closer to home. When you add in the jolt of rising energy prices and rising taxes, you get the perfect storm. Republicans, for all intents and purposes, went along. Republicans, in case you haven’t noticed, abandoned all caution and prudence once they took control of Congress in 1994, helped to run up a huge national deficit, expanded some entitlement programs, expanded the federal government, and generally acted like Democrats. The result is the present crisis. It is a crisis of confidence. The extraordinary low ratings that reflect the public’s regard for Congress and the President are entirely justified. The difference is that a huge Internet-informed public now has the capacity to flood Congress with messages warning against further foolishness. Fixated on little more than raising money to get reelected, Congress critters will listen when they have to. They have to listen now. What Americans want is a plan that will address the mortgage loan debt problem by finding means to deal with the bad paper, holding it until the housing market regains its value, and doing so in a transparent, carefully monitored, and rational manner. That will require a revised bailout/rescue bill; possibly one that has an insurance element to it, rather than a massive buy-up. Sticking the taxpayers with the bill is a very bad idea. The last people who should be in charge of resolving the mess are those running Fannie Mae or Freddie Mac. Those two agencies need to be put out of business. Bad politics, pandering for votes among the poor and minorities while fostering class warfare, produced the present crisis of confidence in the banking and investment system. The financial system must be protected. This isn’t about “greed.” Banks were put at risk because Fannie Mae, a semi-governmental entity, required bad loans be made. The federal government must get out of the mortgage business. The government must get out of the provision of health and medical care. The government must get out of the nation’s educational system. The government must stop distorting agricultural decisions about what to plant. The government has to end its war on the oil industry. What has not helped is the palpable sense of panic one could read on the face and in the words of Secretary of the Treasury, Henry Paulson, who failed to articulate the problem in other than apocalyptic terms. What has not helped has been the President’s flaccid response that suggests just how tired he is at the end of eight turbulent years spent trying to mobilize the public to realize we are in a long-term life or death struggle with Islamic fascists. Here are three cheers for John McCain’s effort to bring Republicans to a point where they can forge a reasonable compromise with the Democrats who created this problem. The distance Barack Obama wants to put between himself and the problem is an indicator of how he would lead. Obama’s agenda of more government programs and more government spending is nothing less than suicidal. If I were a Republican Strategist right now I would be licking my lips, rubbing my hands together, and probably drooling a bit over the prospect of hanging this “sub-prime” mess around the necks of the Democrats in general and Barack Obama in particular. 1. Fannie Mae lowered the lending standards in 1999 during the Clinton Administration. 2. One of its CEOs, a Democrat named Franklin Raines, was found to have manipulated the books to amass millions. He was succeeded by Jim Johnson. 3. Jim Johnson, at one point, was in charge of Barack Obama’s search committee for a Vice Presidential running mate. 4. Obama, during his four years in office, received more campaign donations from Fannie Mae than any other Senator, four times as much. 5. Democrats in Congress are on record disparaging the investigators who testified to the machinations within Fannie Mae and experts who predicted the sub-prime debacle would occur. 6. Fannie Mae required banking and mortgage lenders to make these sub-prime loans. They had no choice. This isn’t "greedy lenders" fault, but it did come back to hurt them. If this isn’t a DEMOCRAT mess, made in Washington, D.C. by DEMOCRATS seeking to lock up minority votes by providing government-backed housing loans, than I am missing something in this equation. If I were a Republican strategist, I would tap public anger and that, of course, is what today's defeat of the bailout plan represents. By resisting yet another panic-driven, last minute, “Christmas tree” bill, Republicans have positioned themselves as the taxpayers protectors, but they must now make a powerful case for the action. If Barack Obama and his fellow Democrats cannot be defeated between now and Election Day, the Republican Party will have no one to blame but themselves. 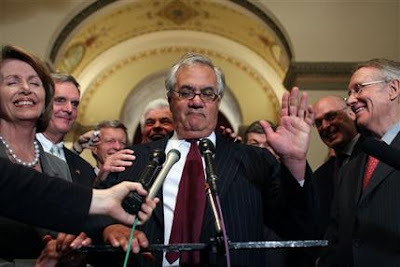 There is something genuinely sickening about seeing Rep. Barney Frank (D-MA), House Speaker Nancy Pelosi (D-CA), and others trying to stick President Bush and the Republicans with the blame for the financial meltdown that has put the American taxpayer in hock for the problem they created. One need only read The New York Times, September 30, 1999 article by Steven A. Holmes, headlined “Fannie Mae Eases Credit to Aid Mortgage Lending.” Only it didn’t aid anything. Instead, it abandoned rational, prudent, established guidelines for lending; not the least of which is that you don’t make loans to people who are unlikely to repay them. The man in charge of Fannie Mae in 1999 was Franklin D. Raines, a name that has come up in connection with Sen. Barack Obama as an “advisor” on housing issues. Another former Fannie Mae CEO, Jim Johnson, led Obama’s vice president search team. This makes the political campaign funding Fannie Mae/Freddie Mac gave Sen. Obama even more shocking given the fact that he reaped more than any other politician, $42,116 for every year he was in the Senate. It is worth asking why Sen. Obama received roughly four times more money than any other politician during the four years he was in the Senate. Sen. Obama’s close ties to both Raines and Johnson are being largely ignored by the mainstream media as efforts are being made to make it appear that this is a Bush Administration scandal. It isn’t. In 1999, Peter Wallison, a resident fellow at the American Enterprise Institute, predicted that, “If they (Fannie Mae and Freddie Mac) fail, the government will have to step up and bail them out the way it stepped up and bailed out the thrift industry.” If you believe the media, however, you would think this was the fault of the banking and investment communities, but both were responding to significant changes in loan arrangements introduced during the Clinton Administration. This was clearly a political ploy to secure the votes of Blacks and Hispanics by deliberately lowering loan requirements. Banks and mortgage loan companies were required to show that they had made these bad loans, thus undermining the stability of the entire financial network. This bailout is necessary to restore confidence in the nation’s banking and investment communities, but it started well before the Bush Administration and is grounds by itself to remove all those associated with it from public office. That can be done in part on Election Day. This is shaping up to be a very strange election. Consider that both parties are, in effect, fronting candidates that are at best their second choice. The Democrats wanted to nominate Hillary Clinton and now have buyer’s remorse with Barack Obama. The Republicans had a field of candidates that did not seem to please any of them. Remember the excitement when Fred Thompson got in the race? When John McCain emerged the winner of the primaries, the conservative base of the party put on mourning clothes. The problem for Republicans is that President George W. Bush turned out to be more liberal than they could ever have imagined; never vetoing a single funding bill until late into his second term, pushing for the federalizing of the nation’s educational system, and ignoring the illegal aliens. His domestic agenda got a pass because he was at least aggressively chasing the Taliban and ridding the Middle East of Saddam Hussein. Whoever is elected in November is going to inherit a nation in financial distress and the voters already know they will be handed a bill by the federal government as it struggles to restore trust in the banking and investment systems. The mess, of course, is the result of its own machinations and Wall Street’s natural predatory instincts. Neither candidate looked comfortable at Thursday’s White House emergency meeting with the President, but then nobody else in the room looked happy. The Friday night debate was uninspiring. If you had a preference when you tuned in, you surely did not change your mind. If you were still undecided, age and experience seemed to be McCain’s trump card while Obama remained as aloof as usual. There is too much of the academic, the professor, in Obama. McCain still loves a good fight. The problem for both candidates and for Congress is that, when you’re running an empire called America there’s a point at which you realize it is just too damned big. McCain talks of reducing the size of government and he is right. Obama has plans to add to it with billions more in “social” programs about healthcare and education. He is very wrong. The Romans found out about being too large around the time the Vandals and the Visigoths were at the gates. All roads led to Rome and facilitated its sacking. Let us hope we are not witnessing the sacking of the taxpayer although, at this point, it rather looks like that. Why we expect the people we elect to high office to be smarter than the rest of us remains a mystery. The first half hour of the debate was about avoiding the financial catastrophe. Not once was the Federal Reserve mentioned. Its cheap money, easy credit policies are a big part of the present problem. Neither candidate actually suggested getting rid of Freddie Mac or Fannie Mae. Why remind people that their government is at the heart of the mess? Foreign affairs was the scheduled topic and did occupy a fairly boring second half of the debate, but Americans tend not to be much interested in what is happening elsewhere unless it involves a war or threat of one. We have an increasingly short attention span even for wars in which we are involved. Chosen by a system that needs a complete overhaul, neither candidate evokes a great deal of enthusiasm. The winner in November could well be just a caretaker until the financial system rights itself and that is not likely to be any time soon. Did you see the news item about Al Gore’s speech this week in which he urged “civil disobedience” to stop the construction of coal-fired plants to meet our nation’s growing need for more electrical power? Gore epitomizes what I suspect future generations will call “The Great Global Warming Hoax”, but in the meantime, he is able to generate the bogus science and anti-energy propaganda that is at the core of environmental ideology. If it is possible, Great Britain is infected even worse with this idiocy. In early September, a jury hearing a case in which thousands of dollars of damage had been perpetrated against a coal-fired power station decided that the six people involved had a “lawful excuse” to vandalize the Kingsnorth power station in Kent because global warming posed an even greater threat and the plant was contributing to it. One of those testifying at the trial was NASA’s James Hansen who is generally credited with starting the global warming panic back in the 1988 with testimony before Congress that we were doomed. At the UK trial, he called for a moratorium on coal-fired plants. So far as Al Gore and his fellow global warming charlatans are concerned, the reduction of energy, whether it be electricity to power our homes and businesses or oil to fuel our cars and trucks, must be curtailed and then replaced with “clean” alternatives such as wind and solar power, and biofuels. Meanwhile, Gore grows wealthy giving speeches and collecting money for “carbon credits”, the modern equivalent of Confederate currency. There is no global warming. The Earth is into a cooling cycle that is now a decade old. It is getting colder all over the Earth and it will continue for several decades or, if we are at the beginning of a new Ice Age—a possibility—the prospects are beyond imagining. The assertion that carbon dioxide (CO2) is responsible for a global warming that is not happening is equally absurd. It just so happens that generating power, with the exception of nuclear and hydroelectric, generates CO2. The good news that some 28 coal-fired plants are under construction in the United States and another 20 projects have permits or are near the start of construction. Electrical power will flow, though it is widely agreed that the “grid” that distributes it is in much need of expansion and upgrading. Gore’s advocacy of vandalism against coal-fired plants is yet another example of his growing desperation. It does not matter that he received a Nobel Peace Prize or an Oscar for the lies perpetrated by his so-called documentary. All that says is that the institutions bestowing these honors are corrupt, stupid, or both. When you consider how close the United States came to electing Al Gore President, a shiver of cold fear should go through you and it should remind you that the same party that nominated him has nominated a Marxist Manchurian candidate to be your next President. My friend, Don Devine, in addition to being a vice chairman of the American Conservative Union, edits its “Conservative Battleline” and is a contributor to it. If you want to know how and what a true conservative thinks, you could do no better than to read Dr. Devine’s writings. “Let us be very frank. National government non-defense spending has hemorrhaged to historic highs during the last seven years under George W. Bush and Republican Congresses." I doubt any conservative could be comfortable with the solution that Congress and the White House has arrived at to avoid what everyone seems to agree would be a financial meltdown of our banking and investment system. The economic life of our nation is driven as much by emotion as by hard facts. Even the now unlamented Alan Greenspan, former Chairman of the Federal Reserve, spoke of “irrational exuberance” at one point. He was, in retrospect, part of the problem. What Devine’s succinct review of the two Bush terms in office reveals is a total indifference to any fiscal prudence or restraint. Bush never vetoed a spending bill until after the 2006 midterm elections when Republicans lost control of Congress. It should be noted, however, that the current financial crisis is almost entirely a Democrat creation, put in place during the Clinton years, based on the belief that poor people have some kind of right to live in homes that they can’t afford. It forced Fannie Mae and Freddie Mac to abandon prudent procedures. Both parties, though, can share the blame for the Sarbanes-Oxley Act that distorted accounting practices in the wake of the Enron scandal. A lot of politicians and other people combined to create the present mess, but a President puts the imprint of his personality and policies on the mood of a nation. The message too many Americans got was like the famous New Orlean’s motto, “Laissez le bon temps roulez.” Let the good times roll. In 2005, the good times ended for New Orleans courtesy of Hurricane Katrina. No matter who is elected, the “good times” for the nation is ending as the Bush Administration begins to pack and make ready to leave. Political parties are guided by fairly identifiable ideologies. When the Republicans abandoned theirs to become in effect Democrats, they betrayed conservative principles and opened the doors of power to a Democrat Party that ill-serves our present and future needs. Your local bank isn’t called a “trust” for nothing. The only thing that keeps the banking and investment community going is trust. And liquidity. Money moving in and out. Since they underwrite all business and industrial expansion—essential for capitalism to succeed—that trust is essential. If the bank grants you a mortgage or auto loan, they are trusting you to pay it back with interest. Your bank has to trust a network of other banks as they process their customer’s transactions. In addition, since they issue credit cards, they have to trust holders to pay their debts and to pay them for their use. 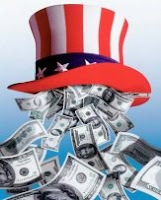 Everything seems to funnel back to the Federal Reserve whose job it is to protect the value of the U.S. dollar by raising or lowering the interest it charges when it loans money to banks. Why wouldn’t banks feel confident if they knew money would continue to flow from and through the Federal Reserve? That’s what the current financial crisis is about. If banks cannot or will not trust the Federal Reserve and other banks, and if they will not trust you with a loan, the entire economy grinds to a halt. Money is like manure. You have to spread it around to get any value from it. My late Father was a Certified Public Accountant. I was born missing the gene for addition, subtraction, and multiplication. He eventually made his peace with a son too idiotic to balance his checkbook, granting that I had stronger skills in other areas. I grew up largely disinterested in acquiring wealth. That was a mistake, though I do live quite well by most standards. My needs are few. Having lived through the Great Depression, both my parents were more than content to earn enough to enjoy a classic suburban life in a lovely, three bedroom home with a car in the garage. After World War II, Mother began a career teaching haute cuisine and the appreciation of wine. Many of the men who had returned from war also returned with a taste for foreign foods and Mother taught them and their wives how to prepare them. Thus, with two incomes, my parents were able to put two sons through college and still enjoy “the good life.” They avoided dabbling in the stock market. Despite their experiences during Great Depression, they trusted the local bank to keep their savings safe for them, but their trust had been restored only after considerable regulation of the banking and investment industries. As far as they were concerned, Franklin Delano Roosevelt saved the nation. The crisis got worse and worse and worse. Bank robbers like Bonny and Clyde became folk heroes. In 1932, Democrats nominated FDR for President and he would serve until his death in 1945. Government got very involved and has remained involved. It became the federal government’s responsibility to ensure that the trust that kept banking, investment, business and industry functioning was maintained. This explains why the Secretary of the Treasury and the Chairman of the Federal Reserve have been testifying non-stop before Congress. However, the American people are being told that, without immediate intervention, largely without prudent oversight, we will be right back to October 29, 1929 and the appalling decade that followed. There were vast numbers of jobless men, soup kitchens, lost farms, failed businesses, and a desperation that defies description. We are being told that we must act in haste and that the federal government should buy what those on Wall Street call “toxic paper”, the questionable sub-prime loans. Calmer voices are suggesting that other steps should be taken to restore trust in the system. These involve changing the current accounting system and other options beyond this writer’s area of expertise. On the face of it, saving those investment houses that did not act prudently does not seem a good idea. The Federal Reserve has already allowed Lehman Brothers to fail. If no one really knows what all that sub-prime mortgage paper is worth, throwing $700 billion at it might, in fact, just be the beginning and not the end to the problem. That said, doing nothing might be a whole lot worse. Social Justice or a Bad Idea? I have a close family member who is as liberal as I am conservative. We talk every day and, mostly, we avoid discussing politics. Most of us have family members whose politics differ from our own and most of us are wise enough to avoid such discussions. Since my family member has spent his life dealing with Wall Street and advising people of great wealth how to protect and enhance it, one would think that the conservatism he brings to that goal would extend into his broader vision of the nation and the world, but it does not. Indeed, Wall Street is a hotbed of liberals. Many of those who migrated to politics from Wall Street brought their desire to improve the lives of those less fortunate with them, but unfortunately, this is precisely what has led the nation to the present crisis. The crisis of the Great Depression led to the politics of the 1930s and 40s, and demands for government intervention to ease the terrible burdens of a broken economy. The result were programs designed to alleviate the then-immediate crisis, restore trust in the banking system, provide make-work projects, and create Social Security to protect people against a penniless old age. The driving political motivation was to introduce “social justice” into a society where many people had been impoverished through no fault of their own. Leading up to that earlier crisis was extensive speculative investment, often by people who could ill afford to do it. If this scenario sounds familiar, all you have to do is consider a system put in place that permitted people who could ill afford to do it, to get mortgage loans and then required mortgage lenders and banks to make these loans. The banks and mortgage companies were told that Fannie Mae and Freddie Mac, two government agencies masquerading as private entities, would back them up in the event of defaults on those loans. They bought what was essentially worthless paper based on the concept of “social justice.” Investment firms “bundled” that paper and sold it as a form of securities. The current crisis is rooted in the “solutions” to the Great Depression. A reading of history reveals that it was World War II that employed a lot of people in the struggle to overthrow authoritarian dictatorships. Many unemployed men volunteered or were conscripted into the military. Opportunities for women to work opened up in the nation’s factories that thrived in the effort to provide munitions and the many products necessary to achieve victory. In a very real sense, though the threat was real, it was WWII that restored the nation’s economy. When men returned from that victory, a grateful government provided the means by which they could attend college, learn new skills, and swiftly begin to contribute to a growing economy. Other men replaced women on the assembly lines. In a new century the United States is attempting to function with ideas and institutions left over from the last major, economic, and military crisis. A lot has changed since then, but the concept of “social justice” has not. It has been the justification for the insane expansion of the federal government into every aspect of life in America. While no one would argue that there is not a need for regulation. It is equally true that the banking and investment community is possibly the single, most regulated element of the nation’s economy. What failed was the judgment of those imposing “social justice” ideas from the 1930s and 40s on a $13 trillion economy embarking on a new century in a global marketplace. Telling Detroit to build cars based on a false “global warming” belief that carbon dioxide emissions are a threat to the environment is a bad idea. Influencing what farmers choose to plant based on the three-decade-old failed and false belief that ethanol can or should replace gasoline is a bad idea. Imposing a one-size-fits-all straight jacket on the states’ educational systems is a bad idea. Adding billions of new entitlements to already shaky Social Security and Medicare programs is a bad idea. Refusing to allow the exploration and extraction of the nation’s vast reserves of oil, natural gas, and coal, is a bad idea. Giving the Secretary of the Treasury a blank check to purchase billions in worthless loans will no doubt stem the panic regarding the stability of the nation’s banking system, but doing so without congressional oversight is a bad idea. Adding to that blank check by including student loans and a host of other credit obligations is a bad idea. At some point you run the risk of literally bankrupting the nation and that is a very bad idea. The Real Winner or Loser? It is a truism that all national elections are crucial to the future of the nation. We choose a President and a Vice President, along with a whole bunch of other candidates whom we believe will do the best job of guiding the affairs of the nation. It is not even a question of the world being a dangerous place. The world has always been dangerous. War has been, as often as not, the determinant factor in the affairs of mankind. “Si vis pacem, para bellum”; if you want peace, plan for war is a piece of ancient wisdom that still serves us well today. Nor is it a question of economic crisis. The United States has been through many cycles of financial crisis. It is endemic to the capitalistic system. Indeed, failure under capitalism is neither unusual, nor necessarily permanent. Companies, old and new, fail all the time because, among other things, new technology drives out old technology. Just take a look at the current plight of the newspaper industry as but one example. What marks the current financial crisis as unusual is the size and scope of it. The price of having become an economic superpower has been the size of our government and the excessive intrusiveness into the marketplace that has come with it. Size, in this case, translates into billions for the bailout required. The financial markets, however, are a barometer of hopes and fears. If there is anything rational to its constant fluctuations, I have yet to have seen it. The market, as a result, is subject to “bubbles” like the Dot.Com mania and the “corrections” that follow. These are, of course, euphemisms for throwing money at untested, unproven or very dubious schemes such as the “bundling” of all the bad debt run up by sub-prime mortgages. They are mortgage loans which would not have existed if the government had not insisted on, required it, and then put its full faith and credit behind them. Just how rational is Wall Street when prices rise and fall like yo-yo’s depending on the price of oil or some other momentary factor? The financial market is all about capitalism and capitalism is all about risk. It’s hard to be rational when you have your life’s savings or retirement on the line. Politicians understand this. Whoever is sworn in as President next January is going to inherit, literally, a world of problems with which our essentially 1940s, bloated government is ill-prepared to deal. The only reform worth considering is a massive down-sizing of the federal government. Whole cabinet departments need to be eliminated. Thousands of programs need to be ended. The government has to stop telling Detroit how to build cars. The government has to stop subsidizing ethanol and distorting the agricultural marketplace at home and worldwide. The United States is a republic composed of fifty separate republics. They united "to form a more perfect Union, establish Justice, insure domestic Tranquility, provide for the common defense, promote the general Welfare, and secure the Blessings of Liberty to ourselves and our Posterity." Find where the Constitution authorizes a Department of Education or Energy? You won’t and you can’t. That power does not exist, no matter how many circumlocutions constitutional lawyers offer to justify it. Time to clean house...but the next President will not be able to do so. The natural tendency of Congress and the Executive is to acquire more and more power through taxation and regulation. Barring that, it is done by fiat; by declaring the power exists even if the Constitution states otherwise. It is much the same with the money that will be conjured up to bail out the banks and, in AIG’s case, an international insurance company so big that it could not be allowed to fail. Fiat money, borrowed money, money that risks the devaluation of the U.S. dollar if Americans and the rest of the world lose confidence in it. No President can allow that to happen on their watch. Not Bush, not McCain, and not Obama...unless he is the Manchurian candidate selected to destroy the nation. So the question arises, who will be the real winner or loser of the next election? The man who becomes President or the man who dodged that bullet? In brief, caption-sized text, it begins with 1982’s savings and loan deregulation, moves on to the promotion of “junk bonds” billed as “a new way to finance business”, notes the 1986 savings and loan crisis when many S&Ls failed, then onto the collapse of the junk bond market. At that point, you might have thought that some rational response would occur, but in 1991 the first Bush administration wanted to repeal the Glass-Steagall Act that separated commercial from investment banking. The restriction would be eliminated during the Clinton administration. By 1994, Long-Term Capital Management, a hedge fund with two Nobel Prize-winners on its board claimed it had discovered market models that drastically limited risk. By 1998 it received a $3.6 billion federally engineered bailout. The firm shut down. In 1999, the dot-com frenzy began as all kinds of Internet-based business promised huge earnings, but within a year that bubble burst. In 2000 Enron, the energy-trading company went belly up and its vast fraud brought down Arthur Anderson, until then a respected accounting firm. In 2004 Alan Greenspan, the Chairman of the Federal Reserve, a former advocate of tougher regulations, praised adjustable-rate mortgages and refinancing for ordinary homeowners. By 2006 a full-fledged housing bubble, the result of bundling millions of risky loans and reselling them to investors, was under way. Welcome to 2008 and the worst financial mess since the days of the Great Depression. This time the Federal Reserve stepped in to save the investment firm Bear Stearns, but barely a month later decided to let Lehman Brothers sink as the full scope of the sub-prime mortgage loan debacle became clear. The government seized Fannie Mae and Freddie Mac, created to back up loans with the full credit of the U.S. when it turns out they were massively mismanaged. It also rescued AIG, an international insurance firm. We are now waiting as Congress struggles to come up with yet another bailout plan after apparently having learned nothing from the thousands of hours of hearings held over the past twenty years. The American taxpayer will have to pay out billions to avoid a worldwide crash because the U.S. dollar is the bedrock against which all other currencies measure themselves. Presumably, it was the job of the Federal Reserve to protect the value of the dollar, but just as apparently, it has not, except in crisis mode. Now a lot of Wall Street “experts”, along with the news community that is supposed to be the “watch dogs” that warn us against repeating the errors of the past, are joined by tut-tutting politicians who were perfecting happy to take campaign money from all of these financial geniuses. If Business Week can trace the breakdown of the various restraints that had been put in place to avoid another Depression and do so on a single page, the question that must be asked is why none of those involved, particularly government agencies, did nothing to put on the brakes to avoid this latest crisis? The least the average taxpayer with a savings and a checking account could have expected was that they would be protected. Now it is their money, taken from the public treasury, that will be used to buy up all that worthless paper. The homes, though, still have value and, presumably through foreclosure and re-sale in time it will be returned to the treasury. In the meantime, the U.S. will take on another trillion dollars in debt on top of the debt it already has thanks to entitlement programs that are going broke, programs that throw billions at exploring outer space while highway funds are tapped out, millions in “earmarked” projects added to bills to fund our military and other vital aspects of our nation. We have huge federal departments devoted to energy and education that could be eliminated without being missed. In the 1970s, the former was supposed to insure our energy security when it was created. Do you feel secure when Congress won’t allow drilling or mining and the cost of building a single refinery or nuclear plant is in the billions? As for education, you won’t find that word in the U.S. Constitution no matter how hard you look. The Department of Education has utterly ruined our once excellent educational system. Don’t even talk to me about the billions we waste keeping the United Nations functioning in order to attack our national interests along with the prospect of real democracy and human rights anywhere in the world. Then there’s all that foreign aid we provide to the black hole of nations that never seem to use it for projects that would help their people. None of this is a secret. None of the factors leading to the present financial meltdown were unknown. If you think you still live in a nation with the rule of law, the protections of the U.S. Constitution, and the oversight of Congress, this section of the proposal ends all that. After listening to a week’s worth of “explanations” about why the financial system of the United States was in trouble, it occurred to me that, if we were China, a whole bunch of guys would have been hauled into stadiums in New York and Washington, D.C., and publicly executed. Fortunately for them at least, we are not China, but what emerged from the chatteratti was the conclusion that, since everyone was to blame, no one was to blame. Guess who gets to bail out those who made predictably greedy and really stupid decisions? Everybody. We are inclined to look back at previous administrations and think that their members of Congress were great statesmen and so much wiser, but even a glance over one’s shoulder reveals they were as avaricious and self-interested as the current bunch of boneheads. They gave us the Civil War, Prohibition, the Great Depression, and the United Nations, to name just four really bad events. So why we should think that the present members of the quasi-criminal class we call Congress would not make a complete mess of the financial system, makes no sense. The most prominent aspect of modern era government is the way it has managed to expand into every area of life in America and, most particularly, the conduct of business, industry, and finance. Congress knows little or nothing about agriculture, technology, science, medicine, and how to run a business, large or small. What it knows about is wasting taxpayer’s money on “earmark” projects to please the folks back in their district or state. It leaves wasting money overseas to the dictates of the State Department and assumes rightly that the military will do the same in the conduct of “nation building” projects. If you wonder why Congress is forever holding committee meetings and inquiries of one sort or another, it is because these are the kids in high school who were never expected to grow up and be of any real use to anyone. They were the backslappers and glad-handers who, as often as not, ran for class office. There are exceptions, of course. Rep. Ron Paul is a physician, though he has long since abandoned that profession in pursuit of saving us from ourselves. That is a losing battle. This is why we have tended to look to state governors for leadership because, at the very least, they actually have to manage a real budget. We may be less inclined to do that in the future as we discover that the only thing too many of them are good at is running up more debt while killing energy projects because they think global warming is the most serious problem facing Kansas, New Jersey, or any state with a Democrat at the helm. That includes California whose Governor is a Democrat in a Republican pinstripe suit. The government will now step in and buy up all those mortgages that should not have been permitted if it had not insisted that people with no hope of making the payments, i.e., poor people, people living beyond their means, or just plain stupid people, had not decided they too should live in a McMansion. In the process, I guarantee that the bailout legislation will have millions and millions tucked in there to do things like prop up Detroit’s auto industry problems that would not have occurred if government had not been busy mandating how cars should be built. This is the same government that, for thirty years, has been trying to destroy the oil industry. Who is to blame for the financial mess? Apparently it’s you. After all, it’s your money that will be used to make things right again. Until the next mess. On September 23, Iran’s President Mahmoud Ahmadinejad will be speaking at the United Nations. He should be arrested. This isn’t just my opinion, but that of a coalition including victims of genocide, representatives from Darfur and Rwanda, who will join Ambassador Richard Holbrook, among other distinguished diplomats, jurists, and scholars, at a conference in Washington, DC that same day. They will call for his arrest. The charge will be the incitement to genocide. A team led by Irwin Cotler, a Canadian Member of Parliament who was Minister of Justice and Attorney General of Canada, has concluded that Amadinejad’s rhetoric “constitutes a blatant violation of the anti-incitement clauses of the Convention on Genocide. Cotler will use the event to release the “Responsibility to Protect (R2P) Petition which calls on all States to bring Amadinejad’s Iran to justice under international law. Nor is this the view of a handful of legal scholars. Australian Prime Minister Kevin Rudd and Canadian Prime Minister Stephen Harper have both characterized Amadinejad’s language as genocidal. Prof. Gregory Stanton, formerly of the U.S. Department of State and the president of the International Association of Genocide Scholars, is a signatory to the initiative. How many times do we have to hear Amadinejad call for the destruction of Israel and the Israeli people? How many times do we have to listen to other Iranian leaders assert that they intend to destroy Israel? The arrest of Ahmadinejad would send a message to Iran's leaders and the despots of the world that they, too, would be subject to international law if they engage in similar acts of incitement. Seize Ahmadinejad the moment he steps off the grounds of the United Nations. Arrest him and hold him for action by an international court of justice. That action alone might prevent a second Holocaust and put an end to the genocide going on in Darfur, Sudan. There is precedent to take such action. Slobodan Milosevic was indicted by the International Criminal Tribunal in 2001 for having incited the killing of some 200,000 Muslims during the war by the Serbs in Bosnia. He had, the court said, “command responsibility” as President of Serbia. He termed the action “ethnic cleansing”, a phrase that has entered into language describing genocide. There is a catch, though. The United Nations has proven itself indifferent or incapable of taking any action against genocides as we already know from their failures in Cambodia, Rwanda, and currently with regard to the Sudan. It has failed to put a stop to Iran’s intention to have nuclear weapons. And the United Nations is obsessively opposed to Israel, spending endless hours on resolutions condemning it while ignoring the actual horrors occurring elsewhere in the world. That leaves only the United States that has the capacity to see Ahmadinejad brought to trial. In 1989, during the previous Bush administration, the U.S. invaded Panama and arrested Manuel Noriega. A dictator in charge of its government, the U.S. brought him to trial for drug trafficking and he is in an American jail still today. What prevents us from bringing Ahmadinejad to justice before an international court and before the court of world opinion? Nothing but the will to do it. Here’s a question for you. Given the many people who refused to leave Galveston, Texas, how many died as the result of Hurricane Ike? The official death toll, according to an Associated Press, September 17, report was 49 “with most of the deaths coming outside of Texas.” The same report cited nine deaths in the Houston-area, but there was no word from Galveston, a place that currently resembles the surface of the Moon. The hurricane reportedly killed more than 80 people in the Caribbean before reaching the United States. It was huge; some 500 miles across, with a storm surge that easily topped Galveston’s seawall. And yet, despite an occasional glimpse of the devastation it left behind, there is still no word of any deaths in Galveston. “Homes and other buildings in Galveston and homes burned unattended during the height of Ike’s fury; 17 collapsed because crews couldn’t get to them to douse the flames. 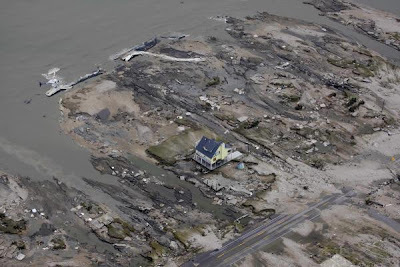 There was no water or electricity on the island…” according to the Sunday MSNBC report. It seems unlikely, given the number of residents who chose to remain despite the order to evacuate, that there are no reports of deaths or of missing persons. The mainstream news media’s lack of interest, given the ferocity of the hurricane, is curious. Or did the evacuation and other efforts work so well that, miraculously, Galveston has few fatalities? We’re still waiting to know. 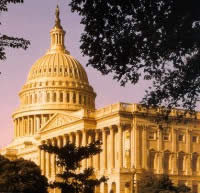 The U.S. House of Representatives approved a package of proposals yesterday [September 16] designed to convince voters it is addressing energy production shortfalls and high recent energy prices. The proposals, which face an uphill battle in the U.S. Senate, would continue a ban on oil exploration and development within 100 miles of the Atlantic and Pacific coasts, with the exception that exploration and development can occur outside of 50 miles from the coast if both the governor and legislature of the affected state approve. Federal studies have shown more than 85 percent of known offshore oil reserves reside within the 50-mile zone that would remain under a moratorium. The House plan would not allow any sharing of royalties with the states, which would discourage states from approving oil exploration and production 50 to 100 miles from their coasts. Also, rather than returning royalty money to energy consumers, the House plan would give the money to the renewable power industry to subsidize research. "Telling energy producers that they cannot produce oil where federal experts know the vast majority of our oil reserves reside is like telling a person who lost his keys at the movie theater that he can look for them only at the bank across town. "We need less politicking and more sincere action to increase domestic energy production. An offshore energy bill that continues to ban energy production where more than 85 percent of our energy reserves reside is not an energy bill at all, but merely a poorly executed head fake. "Making matters worse, a proposal to give the royalties to the renewable power industry rather than returning them to citizens of the affected states is egregious corporate welfare that accomplishes little more than robbing Peter to pay Paul." "Americans deserve better from Congress than this. The public wants Congress to allow drilling here and now--a clean drilling bill that would simply rescind the present moratorium. In response, the Pelosi plan to offer bills with all sorts of preconditions--such as limiting the areas where drilling can take place to areas off selected states and forcing states to use renewable energy even where it doesn't make sense--would raise prices to consumers and make present oil leases offshore more costly to develop. "In the end, the bills being proposed are not meant to actually allow new domestic production (which is one of the few ways to increase supplies and reduce prices at the pump), but rather are brazen political showpieces, all flash with no substance. The idea is to appear to be doing something while in reality doing nothing that would raise the hackles of big green environmental lobbyists who have co-opted the majority party's leadership on energy issues. "While Congress claims they want to help consumers by lowering prices at the pump and securing our energy independence, this bill will not help much in either regard." "Not allowing the states to share royalties from offshore drilling near their shorelines could very well constitute an infringement of their authority and rights as described under the 10th Amendment of the U.S. Constitution. "Local and state economies are struggling under the high costs of transportation and electricity. Speaker Pelosi is yet again restricting economic growth and financial freedom through her energy policies at a time when the United States is facing its worst financial crisis in decades. Is she so blinded by the environmental interest groups inside the beltway that she cannot see the millions of Americans struggling to make ends meet?" “The Hitchhiker’s Guide to the Galaxy” was best known for the two words on its cover, “Don’t Panic!” Of course, when you have Vogons wandering around destroying entire planets to make way for galactic highways it’s hard to remain calm. Anyone familiar with the “Hitchhiker” as a book or a movie would be well advised to consider its advice as the nation’s financial system deals, once again, with another greed-driven calamity. Don’t panic! The nation has been through these financial shocks throughout its history. The one that historians point to, of course, is the Great Depression, but that occurred in part because then President Herbert Hoover did not want the federal government to get involved and matters just got worse. Hoover was an engineer by profession. Twice in the modern era engineers, Hoover and Carter, managed to make a muck of the nation’s economic well-being. It was Franklin Roosevelt and his New Dealers that rather frantically tried every program they could think of to end the Great Depression, but it must be said that a nation rallying to the threats of World War II had much to do with the turnaround. Up until Pearl Harbor in 1941, the nation was struggling economically. What came out of the Depression, however, was a matrix of government agencies whose purpose it was to avoid another Wall Street “crash” as occurred in 1929. Many of these agencies and New Deal programs linger on; some well beyond their practical use and some, such as the entitlement programs of Social Security and Medicare, verging on bankruptcy of their own. Government programs are rarely allowed to die. Warnings about what is occurring to some large investment banks and the AIG, the insurer, have been circulating for a very long time. The mainstream media does not like to report such concerns. It is focused on today’s Dow Jones Average and the rise and fall of individual companies. You have to read publications like Business Week or The Economist to get the larger picture. Since 1982, the nation has been through four major financial crises; five if you include the aftermath of 9/11.There was the savings-and-loan collapse, the dip the stock market took in 1987, the hedge fund implosion of the 1990s, and now the seizure of Freddie Mac and Fannie Mae, the two government-backed financial entities that underwrote the sub-prime mortgage mess. In essence, greed drove the sub-prime mess because anyone with any sense at all knows you don’t loan money to people who are unlikely to repay it. Driven by misguided notions that low-income people have a right to own homes just like the middle class, the sub-prime mortgage program was doomed from the start. Social parity or, to use one of Sen. Barack Obama’s favorite words, “fairness”, is not a substitute for sensible loan requirements. Indeed, it is usually not a good reason for any government program whereas personal responsibility is always a good idea. The poor are, as often as not, poor for perfectly understandable reasons. They drop out of school. They have poor work habits. They prefer crime to a regular job. They engage in drugs and other bad habits. When you add in a middle class that has grown accustomed to easy credit and taking on too much unnecessary debt, you have the makings of a financial shockwave that spreads across the entire system. Right now, some very big investment banks are in big trouble. The U.S. treasury is tapped out and, having swiftly learned the lesson of the Bear Stearns rescue, is saying you guys are on your own. Made bad loans? Have no idea what your assets actually represent? You call yourself bankers? Not for long. Wall Street will be in a funk for a while, but most of us need to sit back and wait out the bloodletting that must inevitably follow. 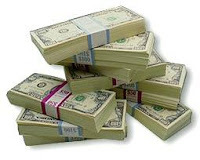 Bank deposits, to a certain level, are FDIC protected. Big, well-run banks like Bank of America just picked up Merrill Lynch at a bargain basement price and you can bet they believe the stock market will rebound at some point. Why were the warnings ignored? For the same reason that people tend to ignore warnings. We don’t want to believe them. Right now Americans are being warned that Congress has to open up ANWR and the continental shelf to oil and natural gas exploration and drilling. They are being warned that we need to build more coal-fired and nuclear plants to cope with the doubling of our need for electricity. They are being warned that we need to encourage the oil industry to build more refineries. They are being warned that the nation’s electrical grid needs upgrading. You think the financial crisis is bad? Just wait until you cannot turn on the lights. Vote for people who want to cut your taxes. Vote for people who want to reduce the size of the federal government. Vote for people who want to fix Social Security and Medicare. 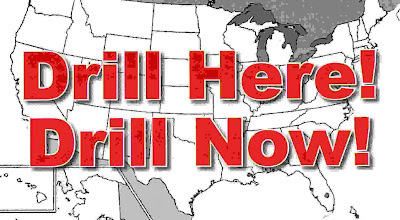 Vote for people who want to drill here and drill now. And don’t vote for people who talk about “Big Oil” as if it is an evil institution instead of a vital national industry. Vote for people who will eliminate the ethanol mandates. Vote for people who know there is no "global warming" and will not support policies based on this United Nations-generated hoax. Vote for people who want to kill Islamic jihadists, not talk to them. Vote as if your life and the future of the nation depend on it because it does. I keep hearing the Democrats bleating like sheep over Governor Sarah Palin’s experience and ability to be “one heartbeat away from the presidency.” What they don’t seem to understand is that America produces people like Sarah Palin all the time. They start out participating in the PTA or the Chamber of Commerce and go on to do marvelous things. The reason is obvious. People take notice. They spot natural leadership abilities and good judgment, and the next thing you know they are telling these folks to run for mayor and then for governor. Gov. Palin’s rise was due to the most fundamental exercise of democracy you can find anywhere in America. That’s why Gov. Palin just knocked out the delegates to the Republican convention. They experienced the same thing that her fellow PTA members did, followed by the folks who elected her to the Wasilla town council, then as mayor, and just as rapidly as Alaska’s Governor. That’s why America embraced her so swiftly. She is a natural born leader. It’s the same reason folks in New York took to Teddy Roosevelt or the folks in Missouri took to Harry Truman. People can spot integrity, confidence, vision, and all those other qualities that, combined in an individual, single them out for the responsibility of office. In the little town in which I grew up and lived most of my life, the people voted one man, Robert Grasmere, mayor year after year. He was gracious, fair, honest, informed, and ready to go to bat for his beloved community. Anyone could approach him and everyone knew he loved little Maplewood, N.J. with every fiber of his body. When he passed on, the church was filled to capacity and the Governor showed up to tell stories about Bob that amused everyone and reminded us why we loved him. He could have gone on to higher office, served in the state legislature, perhaps been a Representative or Senator in Congress, but Bob just wanted to be Mayor and we just wanted him to be Mayor. America produces people like him in every town. It doesn’t matter how big or small the town is. Being responsible for people is what the job is all about. Sarah Palin kept doing that as one new child after another arrived. Family, friends, neighbors; she made them her life. It says something about Sen. Barack Obama that his stint as a state legislator is marked by the many times he voted “present” instead of taking a position and it says even more that, after arriving in the U.S. Senate, he devoted all of his time to running for President instead of serving his Illinois constituency. If you’re wondering why Sen. Obama is losing his “mojo” and Gov. Palin has rejuvenated Sen. McCain and her party, it’s because ordinary people are taking a look at him and thinking he lacks for everything except naked personal ambition. They’ve taken a look at Gov. Palin and seen someone who looks and sounds a lot like their mayor. The September 14, Sunday edition of The New York Times is a study in what might be called journalistic cognitive dissonance. On the front page the lead story was “Storm Damage is Extensive and Millions Lose Power.” On the editorial page, Pulitzer Prize winning bloviator, Thomas Friedman, was explaining why we have to stop using oil as an energy source for transportation and replace coal and nuclear with wind turbines and solar panels to produce electricity. The title of Friedman’s column was, “Making America Stupid”, and it is a pretty good description of the entire environmental movement whose main objective often seems to be the thwarting of any new energy, i.e., power, sources in America. It helps, if you are a New York Times editor, to be unable to make the connection between your page one story and the babbling of Thomas Friedman who is inside the same issue calling for “innovating a whole new industry of clean power” for America after the grudging admission that “Of course, we’re going to need oil for many years.” You think???? That fabulous renewable energy, wind and solar power, would surely have been embraced by now if it could deliver the power that, for example, is not available in Houston and a huge swath of Texas. Could it be because a lot of power lines have been blown down? In Texas, there are lots of wind turbines, but they like all the rest in the nation provide barely one percent of our electricity needs. And they exist only because they are heavily subsidized with federal and state funding. To put it another way, they are so inefficient and impractical, that without the government mandating them, they would not exist! The same goes for solar power. This is what happens when government intrudes itself into areas left to intelligent people. During the Carter administration, the Department of Energy was established in 1977 for the purpose—we were told—of reducing our dependence on foreign oil. Thirty-one years later the budget for DOE is $24.2 billion a year. It has 16,000 employees and some 100,000 contract employees. Are we energy independent yet? This is the same Jimmy Carter who had solar panels installed on the roof of the White House. They’re gone now. Friedman pauses in his criticism of Sen. McCain and the Republican solutions to our energy needs (“Drill, baby, drill!”) to make fun of their proposal for more nuclear plants. Rumor has it that France gets most of its electricity from them. India is building some for its growing energy needs, but Freidman wants to carpet America with solar panels and ruin the landscape will thousands of wind turbines. No thank you! There’s a reason why we don’t have more coal-fired and nuclear plants generating the electricity we need. There’s a reason our electric power grid is not being upgraded to meet our future needs. There’s a reason oil companies won’t spend billions to build new refineries. There’s a reason food costs more when corn is converted into fuel instead of food. The reason is thirty-one years of government regulations and general interference with the power and energy industries that must answer to their investors while coping with “environmental” laws that slow or render impossible the provision of our energy needs. No, he won’t. The government just makes a botch of it when it intrudes into the marketplace to control education and health care. The government has given us the deficit, not reduced it. And real energy policy is based on access to our nation’s vast deposits of affordable coal and the ability of the oil and gas industry to extract the vast reserves of oil and natural gas that exist. Friedman thinks it’s stupid to drill for oil and natural gas, and mine our coal. He thinks it’s smart to throw money at windmills and solar panels. He thinks you’re stupid enough to agree with him. On Whom Can We Blame the Hurricane? I am waiting for some moron in Obama’s campaign team to announce that the devastation of Hurricane Ike is the fault of the Bush administration. Worse yet, I am waiting for some moron in McCain’s campaign team to say something stupid about “global warming” as the reason for the hurricane. Since the Earth has been in a cooling cycle now for the passed ten years, you can be fairly certain that (a) there is no global warming and (b) there’s no connection to the recent hurricanes. As to what is “causing” them, the answer is the same thing that has been causing them for millions of years, Mother Nature. Those of us on the East Coast and in the Gulf area are now in a “hurricane season” and it will remain in it through October. What is most evident, however, is that, with the advent of Hurricane Katrina in 2005, these storms are getting larger and more devastating. Anyone who lives in Florida is accustomed to hurricanes blowing through. Once in a decade or so, they get one like Hurricane Andrew that does some real damage, but most just rearrange the patio furniture. Further up the coast in the Carolinas they got a nasty Hurricane Hugo some years ago. This new century has begun with a bang. Two monster storms in the first eight years suggests that these are not random events, but likely to occur with more frequency. This is very bad news for the Gulf States, but it is really bad news for Americans who depend on refineries in Texas and Louisiana for the bulk of the gasoline and other petroleum distillates they produce. Now I have a confession to make. For some time now I have been making fun of those meteorologists who have been forecasting how many hurricanes will occur. The reason for this is that they have been mostly wrong for the last two or three years. In April 2008, however, the Colorado State University team trained and put together by Dr. William Gray predicted at least 15 named storms that would grow into hurricanes, including “four intense hurricanes with winds about 110 mph.” In May I was poking fun at AccuWeather’s Joe Bastardi who had a comparable hurricane forecast. Bastardi has forgotten more about meteorology than I will ever know. I should have listened. We should all listen when Dr. Gray, now an emeritus professor, tells us that those scientists still claiming that global warming is real are “brainwashing our children.” They brainwashed a jury of British morons who last week delivered a verdict that said it is perfectly okay for environmental activists to vandalize and destroy property in the name of global warming. Simply stated, there’s no one to blame for Hurricane Ike or any other weather event. It’s what planet Earth does and if you are still thinking that human beings have the slightest impact or effect on the weather, I have some lovely oceanfront property to sell you in Galveston, Texas. Or New Orleans. Or Biloxi. The next person who says it’s all because of “climate change” should be dragged out into the street and told not to come back until they grow up. That’s what the climate does all the time. It changes! Most of the time it’s seasonal. Other times it’s multidecadel. Barely 15,000 years ago, most of the northern continent lay beneath huge glaciers thanks to the most recent ice age. When winter arrives, I’m betting that the same ferocity we’re seeing this hurricane season will translate into some horrendous blizzards, the likes of which we have not seen with frequency in passed years. Is it time to build more refineries someplace where hurricanes do not occur with regularity? Yes. It is time to build more coal-fired and nuclear plants to generate the doubling of electricity we will need by 2030? Yes. Is it time to explore and extract the vast reserves of oil and natural gas off the coasts of America? Yes. Can we depend on Congress to do the right thing? No. Not unless and until we begin to elect people to office who understand these very simple facts will we have any hope at all. Wars are won and lost by the calculations made by those that start them. The Japanese Empire destroyed itself when it attacked Pearl Harbor on December 7, 1941. By contrast, the Vietnamese War was lost because President Lyndon B. Johnson never understood that it was, first, a war of liberation from colonial France and, second, a civil war. Within the LBJ White House and over at the CIA, no one had any realistic idea of who they were fighting. Iraq has been deemed “the wrong war in the wrong place” by people who, decades hence, will be deemed very wrong in their judgment. One of its critics, Senate Majority Leader, Harry Reid, said not long ago, “The war is lost.” He’s wrong. Other spineless Democrats are wrong. Other critics pontificate that all we’ve done is allow an Iranian puppet government to take over Iraq, but they underestimate the nationalism that Iraqis feel and the long lingering memories of the losses they had when Saddam Hussein waged war first against Iran, then against Kuwait, and finally produced not one, but two bloodlettings as Americans with allied help, ultimately rid them of their pathological despot. And, of course, that great military leader, Sen. Barack Obama, who first denied the surge worked and then declared it did, keeps insisting that we should have first taken care of business in Afghanistan. What this ignores is that Iraq became the perfect killing ground, luring in wannabe jihadists from all over and sending their sorry butts to Hell. The result is that al Qaeda, who started this war by attacking our peacekeepers in Beirut in the 1980s, blowing up our embassies in the 1990s, and finally, attacking our homeland to destroy the Twin Towers and taking lives at the Pentagon as well, is seriously degraded. Angry letters pass between their raggedy leadership complaining of poor results and low morale. These days U.S. drones, loaded with hellfire missiles, are systematically killing those al Qaeda leaders who thought they had the perfect hiding place along Pakistan’s northern border, only to be disabused of that further miscalculation as they die. Throughout the Middle East and the rest of the world, al Qaeda and other jihadists are being hunted and killed. Bin Laden may be alive but it no longer matters. Throughout the Middle East and even in the heart of the most orthodox practice of Islam, in Saudi Arabia, opinions are shifting and the tides of social change are on the move. In a decade or two they will shed their seventh century outlook and wonder that they were ever so backward and barbaric. For that you can thank President George W. Bush and the Neocons who understood the lessons of history, who understood that 9/11 had to be dealt with by punishing the enemy, Islamofascism, until the price for it was too harsh to pay. “The Muslims have seen with their own eyes that bloodshed leads to nothing but destruction, devastation, isolation, and persecution.” So said Saudi liberal, Salah Al-Rashid on the website Elaph. In an article in the Saudi daily, Al-Watan, Ali Sa’d Al-Mussa, a journalist and a lecturer at King Khaled University in Abha, wrote that 9/11 was a watershed moment between the era of Islamist-led Saudi public discourse and what he deemed “the modern era” a mere seven years later! “The 45 minutes between 8:45 AM and 9:30 AM on September 11, 2001 were unlike any other 45 minutes in the modern history of humankind,” wrote Al-Mussa. “These minutes made it impossible for the world to revert to its former state…” He meant, of course, his world, the Saudi world, the world of the Middle East, trapped in the seventh century demand for endless aggression against any part of the world that did not accept Islam. Osama bin Laden has destroyed the thing he treasured most, orthodox Islam as practiced in his homeland of Saudi Arabia. He destroyed the myth that Muslims could and would come together to fight the infidel and would triumph. The real triumph has been the rise of Western civilization, free of the restraints of orthodox Islam. The real victory will be the realization that the only future Saudis, Iraqis, Syrians, Palestinians, and all others in the Middle East must embrace is one of toleration and of modernization. The alternative is death and destruction. It took an American war to make that happen! It took the vision of men in the White House to see it and the courage to pursue the war despite those who declared it wrong or lost. It wasn’t the first time American warriors went to the Middle East to put an end to piracy, hostage taking, and the violence and death that Islam venerates. It won’t be the last. Keep your eye on Iran, home to Islamists who have not yet learned that lesson. That’s something that Sen. John McCain understands. That’s something his opponent, with a mere 143 days spent in the Senate chambers, may never understand. In the years prior to 9/11, if you lived in New Jersey as I do and drove into New York there was a sweeping curve of roadway leading into the Lincoln Tunnel that provides a view across the Hudson River of downtown Manhattan. One could see the Twin Towers from that vantage point and it always bespoke the financial power of the nation, the greatness of our economic system, and our role in the world. Though preceded by a number of violent attacks that included U.S. embassies and other manifestations of the Islamic mandate to make war until the entire world accepts Islam, it was 9/11 that demonstrated the demonic forces it has let loose in the world. There are more than a billion Muslims worldwide and most desire peace no less than the vast majority of mankind. Too many, however, are driven by their worst instincts, their sense of victimization, their romanticized view of Middle Eastern culture and history. It is instructive, therefore, to see how active leaders throughout the Middle East have become in their effort to hunt down and destroy al Qaeda. Awash in oil billions, the monarchies that control the region understand the threat to their suzerainty. In the meantime, the West continues its own largely secretive war. It is the reason President George W. Bush sent the CIA, followed by U.S. military into Afghanistan to chase out the Taliban and al Qaeda following 9/11. It is the reason President Bush decided to rid Iraq of its dictator and establish a U.S. military presence there. Too many other nations were too eager to do “business as usual” with Saddam Hussein and to continue likewise with Syria’s dictator and others who threaten the peace of the world. It is the reason the U.S. military can be found in Bahrain, the United Arab Emirates, Kuwait, and Yemen. It is the reason we can be found in places large and small around the world. We are the guarantor of peace and the safety of the world’s sea lanes. It is the reason the U.S. Secretary of State recently sat down with the dictator of Libya, granting him a measure of forgiveness after he abandoned the pursuit of nuclear weapons and made payments for the losses inflicted by the bombing of a Pan Am flight. And these are the reasons, in part, why the United States of America has not been attacked by al Qaeda since 9/11. I am mindful of these things as my mind goes back to dining at the doomed Windows on the World, a restaurant at the top of the North Tower of the World Trade Center from 1972 until the horror of 9/11. One could walk the perimeter of the restaurant and enjoy magnificent vistas of Manhattan, look out to New Jersey and Brooklyn, and see the Statue of Liberty, still welcoming those seeking freedom in the New World. My mind goes back to 9/11 and the willful destruction of both buildings by men who believed they had a place waiting for them in Paradise and that Islam justified killing thousands of innocents trapped in airliners and in the great structures that stood for a new age of world trade and worldwide prosperity. A religion that celebrates such barbarity has no place in the modern world. It is not a religion of love and forgiveness of sin, the central theme of Christianity. It is not a religion that has produced countless scientists, artists, and others devoted to advancing knowledge and the welfare of mankind as Judaism has. It is not a religion that seeks harmony with the world as does Buddhism. It is not Hinduism devoted to a single divine principle, nor any of the other faiths that offer prayers for peace and tolerance. 9/11 occurred because of a religion that literally divides the world into Dar al Islam and Dar al harb, the world of war. 9/11 was an act of war, not just against the United States, but against the West in particular and the whole of the rest of the world that resists Islam, a religion that has been at war with the world from its inception. We need to be mindful of that on 9/11/08. We need to stir the embers of our memory of 9/11/01 when we hear calls to withdraw from that war and to yield to its terrorism and threats of war. We need to remember. We need to resist. Those of an older generation may still remember the popular television show, “The Twilight Zone.” It featured spooky stories every week about people encountering events that defied reality. Well, the campaigns have entered their own twilight zones in which reporters, commentators, pollsters, and those whose business it is to be interested in such events will talk themselves blue in the face while the rest of us turn the dial, searching for anything else to pass the time. Serious public interest will not reoccur until Friday, September 26, the date of the first presidential debate between Sen. John McCain and Sen. Barack Obama. Between now and then the candidates will be touring obscure towns in the so-called “battleground” States, hoping to gin up some excitement. The real excitement, of course, is the fact that the kids have finally gone back to school. Their little dramas will be main agenda for most parents. Older ones will have departed for college, allowing for the fumigation of their rooms. Then, too, the football season, college and professional, has begun. Meanwhile, for pure entertainment value, watching the left go completely insane over Gov. Sarah Palin provides more than enough fun for political junkies; those losing their wits and those watching them come unglued. The entire nation will tune in for the October 2nd vice presidential debate. It will be followed by two more presidential debates; one on October 7 and the next on October 15. After that we all get to wait around for Election Day on November 4th, a day on which at least half the registered voters will not vote. This is a trend dating back to the 1960s. By contrast, Sen. McCain looks like he is having a great time. Gov. Palin looks like she’s hunting big game on the campaign trail. Who knew that Republicans could get this energized? It’s not that Americans don’t enjoy politics. We do, but we also know that staying in a state of constant excitation over everything either candidate has to say is a waste of energy. Probably the best part of the whole campaign is the way the mainstream media, like drug-crazed addicts, continue to debase what little credibility they have left. Aside from their economic problems—the loss of their classified advertising base and the flight of other advertising dollars—the once great newspapers of the nation are self-destructing from such biased reporting that only their obituary pages offer any promise of accuracy. It’s okay to ignore the campaign for the next two weeks or so. Those who intend to vote have made up their minds. Those that haven’t will likely forget to vote. Tell me again. What is this Election About? This was supposed to be a campaign decided by the issue of bringing troops home from Iraq. That had been Barack Obama’s theme over months of campaigning in the primaries. The troops are coming home, but only because we are close to saying “Mission accomplished” and this time it’s true. The first time, as best as I can remember, President Bush was referring to the initial success of the Iraq invasion that routed Saddam Hussein’s army. After that, well, the “liberated” Iraqis went nuts with a lot of help from al Qaeda and the Iranians stirring up sectarian discord. It didn’t take much effort. Eventually, though, even the Iraqis tired of the senseless killing. The election is no longer about Iraq. Or even Afghanistan. I suspect that most Americans couldn’t find either on a map. Then the election was supposed to be about energy. The advent of $4.00-a-gallon gasoline put issues of senseless ethanol mandates and the fact that Congress has forbidden oil and natural gas drilling for 85% of our nation’s coastlines right at the top of voter’s concerns. As oil prices began to fall, however, so did the urgency of energy as a compelling issue. Now the election is about the economy. In a way, all elections are about the economy. What is nothing less than astonishing, however, is the public’s rather blase attitude to problems that would in previous times have people panicking in the streets and trying to pull their money out the bank. A lot of this has to do with the view that the federal government has an endless supply of money and can make good the mortgage loans made to people who could not really afford a home and, if normal lending judgments were exercised, would have been denied a loan. You don’t have to exercise such judgment, however, if you know the federal government is good for every dollar you lend. The result is that Fannie Mae and Freddie Mac were literally “seized” by the federal government in order to keep the entire banking system from going belly up. This is certainly a better response than the bad old days of President Herbert Hoover who did nothing and gave us the Great Depression. The legacy of the Great Depression of the 1930s was Franklin D. Roosevelt’s efforts to try anything that would restore confidence in the banks and put some dollars into people’s pockets because money was not circulating or being invested as behooves a market economy. What remains from those desperate days are entitlement programs like Social Security, Medicare and Medicaid that did not anticipate people living much beyond age 65. They do now and where is the money going to come from to send them their monthly check or pick up their hospital bills? The fact is government has intruded into the marketplace to a point where normal banking and investing judgments were suspended and the inevitable “bail out” came due. One of the most essential functions of government is to protect the value of the U.S. dollar. Anything government does that undermines that should be subject to criminal charges. That means, of course, that everyone serving in Congress since the 1940s has been derelict. Generations born during and since the 1950s have been educated to blithely believe that government is the answer to all their needs from cradle to grave. The result is a lot of people who have few savings and a lot of debt. The reality is that government is so intrusive with its high taxation of both corporations and individuals, with its massive regulation of all commercial and agricultural activity, with its entitlement programs that distort the budget, and with its mind-boggling wastefulness, that if Sen. McCain could make good on just a small part of the change he promises, it would be a very good thing for America. Obama will give you higher taxes, but the money will just be plowed into more entitlement programs for the “poor.” We have had generations of poor people because government has not demanded they stay in school, learn a trade, qualify for higher education, or get a job. We didn’t get any real welfare reform until the Clinton years and that was because of the famed 1994 Republican Congress. And through it all, despite the headlines, the public is just merrily going along. Will they spend a bit less this Christmas? Probably. Will they put off any big purchases? Probably. Will they finally figure out that America needs to tap its vast natural resources even if it means disturbing some caribou? Probably. If this election season is any indication, Americans have the attention span of fungus. They haven’t quite figured out that the government will have to get the bailout money from somewhere and that “somewhere” is them, their children, and their grandchildren. Pesticide-Free Does Not Mean Pest-Free!